THE CARTIER EXHIBITION IN CANBERRA IS A SHINING EXAMPLE OF HOW JEWELS CAN BE MORE THAN THE SUM OF THEIR SEPERATE PARTS. The Cartier Exhibition was originally designed by Dr Margaret Young-Sanchez from the Denver Art Museum in Colorado, USA. Dr Young Sanchez looks after the pre-Columbian art section at the Museum. She holds a doctorate in art from Yale University, near New Haven, Connecticut. Dr Young-Sanchez appeared for the opening of the exhibition and gave talks on selected Cartier jewels in the collection. On Saturday 31 March at 2pm in the National Gallery of Australia (NGA), Dr Young-Sanchez she discussed the brand’s reputation for excellence. Cartier is known as the ‘jeweller of kings and the king of jewellers’. Cartier challenged the business house Faberge by beginning to sell items to the Russian imperial family. 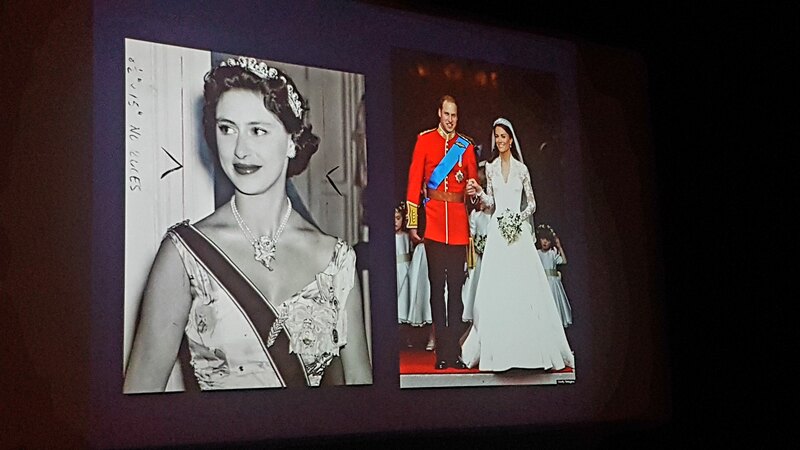 In the exhibition talk, Dr Young-Sanchez commented on hereditary jewellery from the British and European aristocracy including the Queen, Princess Margaret, the Duchess of Windsor, the Duchess of Cambridge and Princess Grace of Monaco. 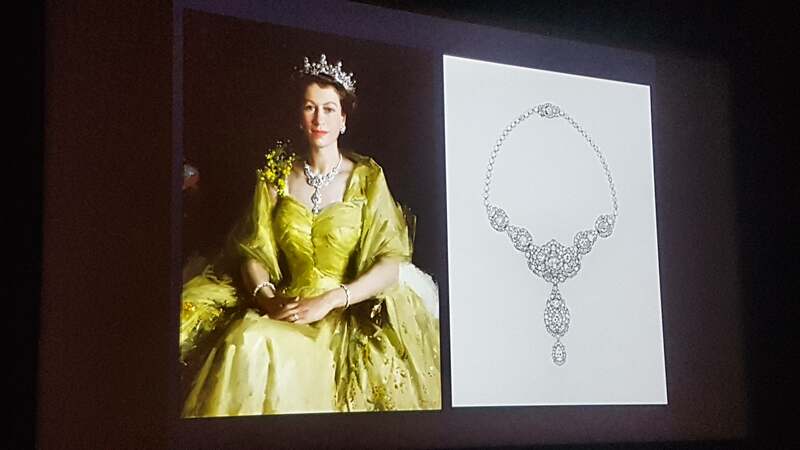 She said she had originally put together a small showcase of the famous jewellery for Singaporean audiences and was asked to extend it to a larger collection for an Australian audience. 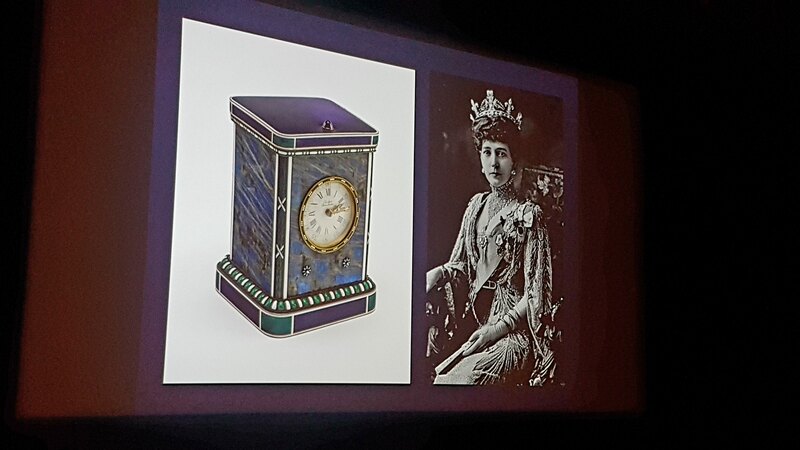 Dr Young-Sanchez is a budding specialist in the works of Australian diva Dame Nellie Melba and the jewellery worn on stage. Her exhibition section on Dame Melba provides some startling home truths about the international performer that we’d ‘quite forgotten about…’ Dame Nellie Melba is described by Dr Young-Sanchez as ‘Australia’s favourite daughter’. She was also the inspiration for the bread known as ‘Melba Toast’ and for the dessert known as ‘Peach Melba’. 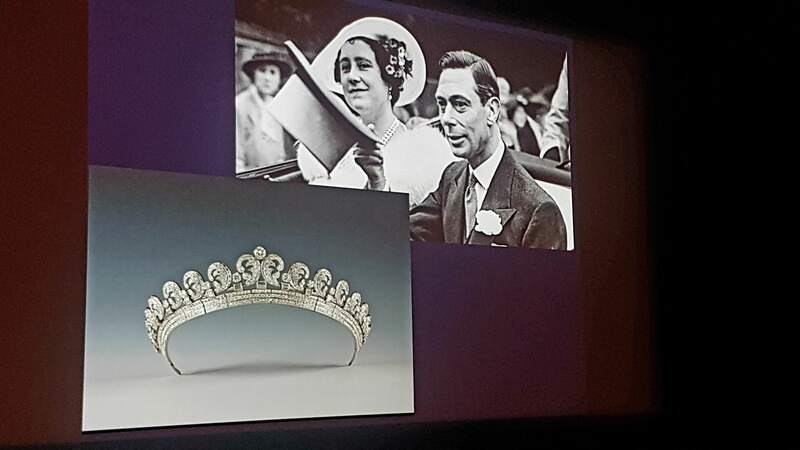 Dr Young-Sanchez said Dame Melba did not confine her spectacular personal jewellery to traditional diamonds, pearls, jade and coral. Dame Melba also encouraged the use of tourmaline, a beautiful gem stone which is mined by Australian miners. A most startling section in the exhibition is the ‘Tutti-Frutti’ jewellery worn by Edwina Mountbatten which is on loan from the Victoria and Albert Museum in London, UK. This is a totally ‘out-there’ feature of the Cartier exhibition which startles and captivates many visitors. A family favourite is the section featuring timepieces designed by Cartier for aviators and several miniature items of space craft, early model bi-planes and water craft. The last section of the exhibition is fun-filled and worth lingering in for a while before heading to the Exhibition gift shop. This section on the drama and glitz of celebrities features Hollywood actors and their jewellery. Actors such as Grace Kelly, Audrey Hepburn, Marilyn Monroe, Elizabeth Taylor, Maria Felix, and Bette Davis to name a few have their favourite jewellery on show. Also in this section are excerpts of films showing the actors use of Cartier diamonds and their famous film lines. The exhibition is held exclusively at the NGA in Canberra until 22 July 2018 (see the Cartier flyer). Tickets bookings via the NGA website: www.nga.gov.au. Copy text copyright Fiona Rothchilds 2018. Photo images copyright by Fiona Rothchilds 2018. News articles in the images (see Cartier article p1 and Cartier article p2): ‘Cover Story: Cartier jewels come sparkling to Canberra’ written by Helen Musa, page 15, of the City News 29 March-4 April 2018 and ‘Time Out: Opulence and grandeur on show’ written by Denholm Samaras, page 32, of the Canberra Weekly 4-11 April 2018. Cartier: the Exhibition flyer (Cartier flyer front) copyright held by the National Gallery of Australia 2018.